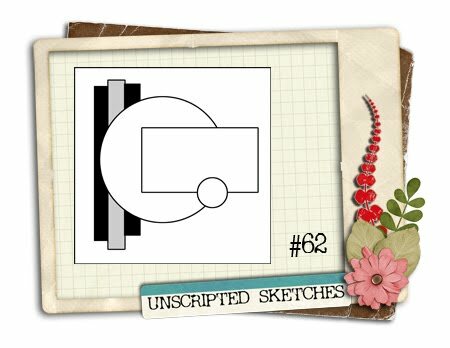 I’m a guest designer for this week’s Unscripted Sketch (#62)! My experience was wonderful, and I’d be honored if I was asked to guest design again in the future! 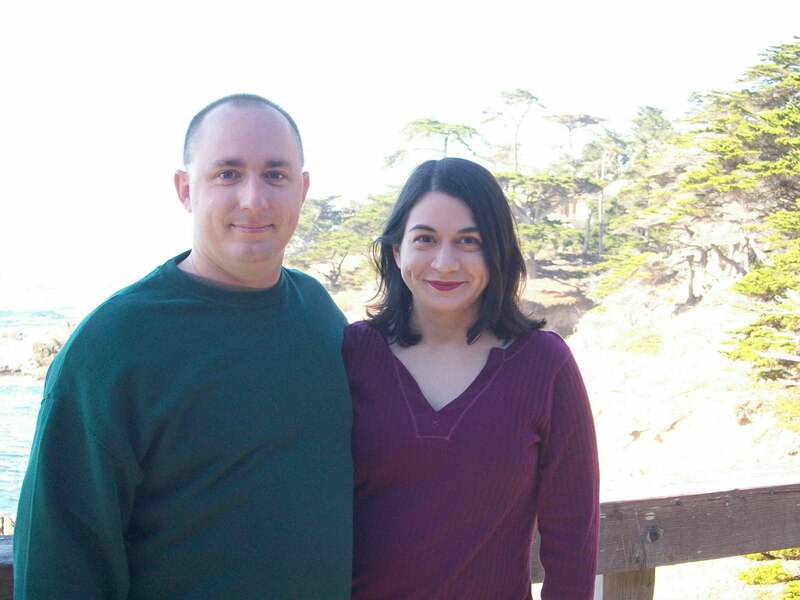 Just a little bit about me: I’m an Army wife, married to a wonderful man named Scott, who is not only my best friend and a marvelous husband, he supports and encourages my papercrafting hobby! 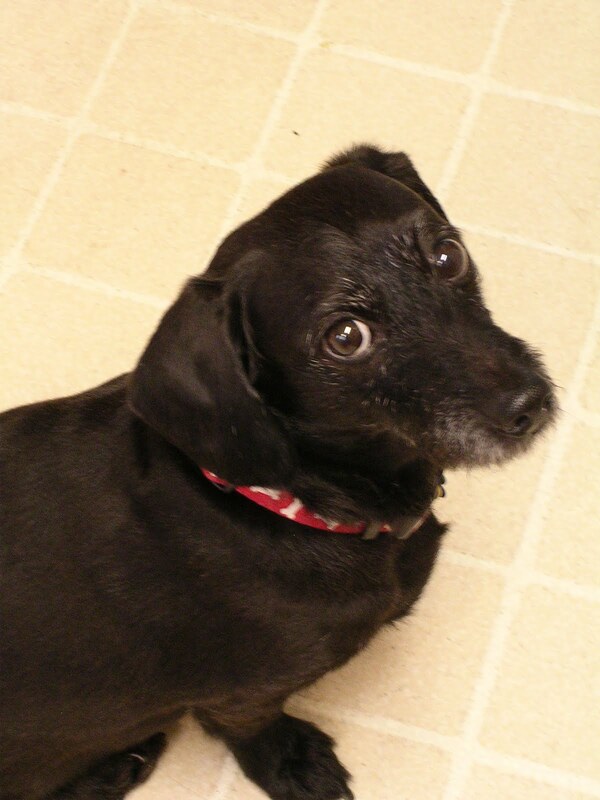 We have a dog named Midnight, who’s a mix of dachshund and miniature poodle. Every so often, as is typical of Army life, we move to somewhere new, and it’s great to have hobbies like card making and scrapbooking to help me make new friends in new places. We live near Fort Lewis, Washington and we love it here! I had so much fun with this week’s Unscripted Sketch! I often use sketches like the ones at Unscripted to help me create my cards…when you have such great sketches like these, it’s much easier to create a beautiful card or project, because you’ve got one less thing to figure out! I used Elzybells Art Stamps for the images and sentiment. Everything is stamped in Stampin’ Up’s Basic Black ink. The paper is from American Crafts and SEI. I used Bazzill Swiss Dot for the card base and sentiment matting. I cut out a circle of vellum to make the large bubble in the background. I made the soap brad using my i-Top and an Elzybells stamp and colored the image with a Glaze pen. I also used Glaze and Stardust pens and a colored pencil to color in the larger stamped image. I used a Copic marker to color in the skin areas and a colored pencil for the rosy cheeks! The wave effect on the paper strips was created with an EK Success border punch. 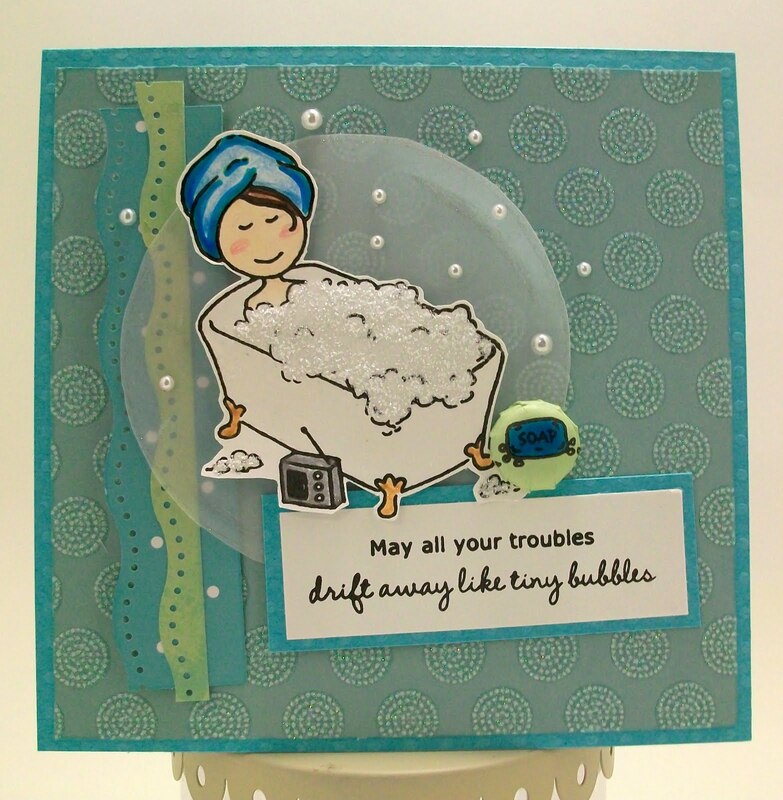 To make the foamy bubbles in the tub, I used Frosted Lace Stickles, and I added some adhesive KaiserCraft pearls to make the other “bubbles” on the card. Thanks so much for visiting, and a big THANK YOU to Unscripted Sketches for having me as a guest designer! Keep visiting Unscripted Sketches…their “Christmas in July” event lasts all month! Suzanne, this is a GORGEOUS card! I'm so glad you were able to join us as a guest DT this week–I always enjoy your work. Oh how I wish I were relaxing in a tub of bubbles like this lucky lady. Whoever gets it is sure to feel pampered!